Leather upper with iconic stripe along the side. Soft, leather lining with faux fur collar. 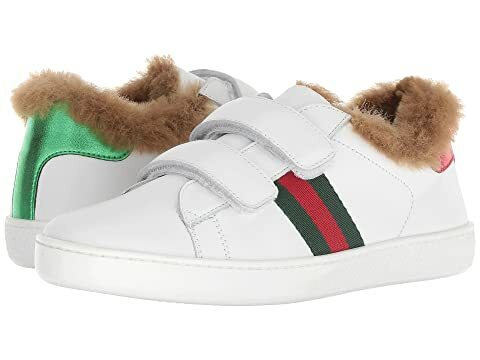 We can't currently find any similar items for the New Ace Faux Fur Sneaker (Little Kid) by Gucci Kids. Sorry!